In my opinion, the best astrophotography lens is one that can capture a variety of images of the night sky in a reliable and consistent way. 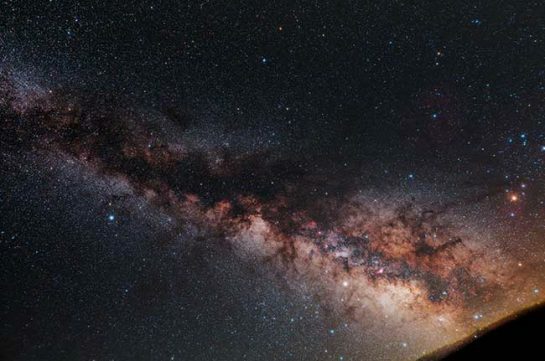 Not all camera lenses are created equal, and imaging a night sky full of pinpoint stars has a way of bringing out the worst (or best) of your lenses capabilities. In the following post, I’ll share my experiences using 2 astonishingly affordable camera lenses for astrophotography. I shoot with both full-frame and APS-C sized sensor Canon DSLR’s, so the lenses are both made by Canon. 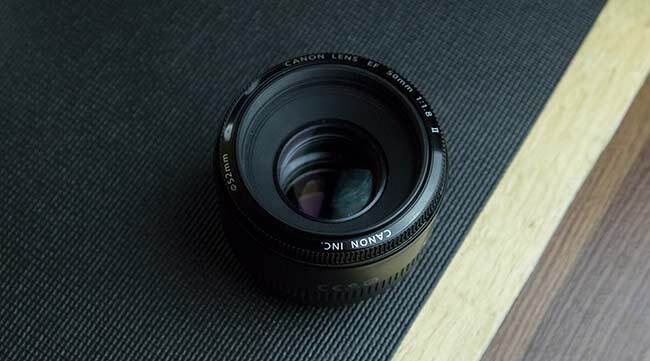 The Canon EF 50mm F/1.8 STM, and the Rokinon 14mm F/2.8 wide angle lens. It’s not possible for me to recommend a single “best lens for astrophotography”, as that title will vary depending on who you ask. Consider this post to offer some real-world advice from someone who’s pointed several cameras and lenses towards the night sky over the past 8 years. The truth is, when I look at similar reviews for astrophotography lenses, they tend to focus solely on Milky Way photography, and nightscapes. Unlike most reviewers, my long history in deep sky astrophotography using a DSLR through a telescope has given me a unique perspective on this subject. On a recent astrophotography session in the backyard, I discovered how enjoyable it can be to squeeze in a brief mid-week session using my camera lens in place of the telescope. For this imaging run, I used the refreshingly simple and affordable Canon EF 50mm F/1.8 lens. The lens was attached to my Canon Rebel T3i DSLR, which rode atop an iOptron SkyTracker camera mount. The difference this time around is that I’m able to get up and running in about 10 minutes. The lack of computer control and autoguiding saves a lot of time and effort – meaning I’m collecting data sooner. Don’t believe me? Have a look at a recent shoot that took place on a less than perfect night. In the video above, I set out to capture the Orion Constellation using a Lens in place of a telescope. This is my “quick and dirty” imaging setup. On nights when imaging time is limited, a great option is to set up a highly mobile setup that you can get up and running quickly. You do not need a telescope to enjoy astrophotography and capture many stunning deep sky objects in the night sky. Related Post: 7 Astrophotography Tips and Camera Settings You Can Try Tonight. Sure it would be great to capture light frames on a deep sky project using my primary imaging telescope, but that’s not always a practical choice in the middle of February. Setting up a DSLR camera and lens on a portable tracking mount is quick and painless – and I still get my astrophotography fix. The process of setting up my complete deep sky telescope rig for a night of astrophotography takes time. Even with a sound blueprint for setting up my non-permanent setup, the process can take upwards of an hour. This isn’t a problem on a warm Saturday in June, but a Monday night in February is an entirely different experience. Another factor that went into consideration was the weather conditions for that particular night. The clear sky chart was less than ideal, with the transparency meter looking a little pale. Rather than setting myself up for a potentially wasted night due to weather, I took a chance on some wide field shots using my “spur of the moment” rig. If the clouds did end up rolling in, I could quickly pack everything back up into the garage in minutes. 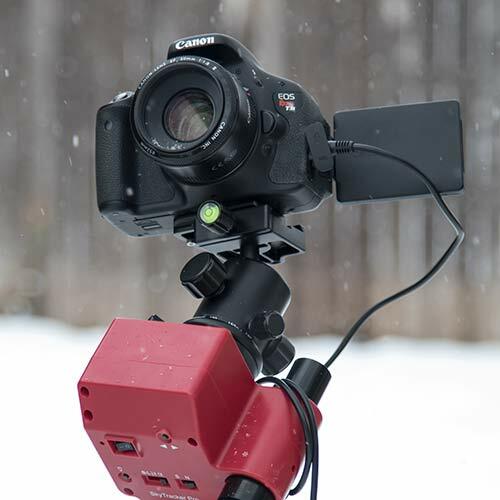 The iOptron SkyTracker Pro is a portable astrophotography mount that is perfect for taking wide-angle nightscape with a DSLR camera and lens. If you’re just getting into the hobby and interested in long exposure shots of the Milky Way – a star tracker mount like this what you want. My target on this particular night was the Orion Constellation, including Barnard’s Loop. Using the Canon 50m lens with my T3i results in a focal length of 80mm (50mm x 1.6 crop factor), which happens to be a perfect fit when it comes to capturing the stars that make up Orion the hunter. What’s the Best Lens for Astrophotography on a budget? You may remember my announcement on Facebook about investing in a new Rokinon 14mm F/2.8 lens. This “budget” category lens was purchased with the idea of wide-angle nightscapes in mind. There are many great lenses for astrophotography available, but these are two that I personally own and enjoy. The models mentioned below are both prime lenses with a fixed focal length. 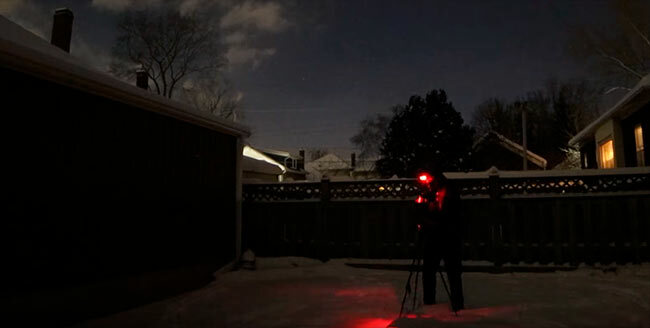 Although they are both affordable choices for astrophotography, their uses will vary. Jerry Lodriguss has put together a helpful list of both Canon, Nikon, Sigma and Rokinon Lenses for Astrophotography on his website. 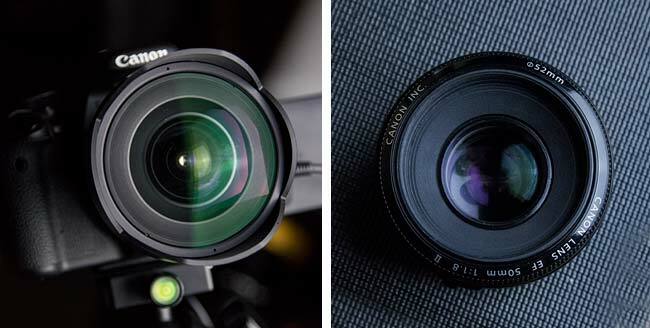 The lenses listed below are both built for a Canon DSLR body because that’s what I currently shoot with. Nikon has comparable lenses (Nikkor) in this category, with similar models of the lenses mentioned below. If you were to ask me for advice on “the best budget lens for astrophotography”, I’d lean toward the Rokinon 14mm Ultra Wide Lens if you plan on shooting wide-angle astro-landscapes. Over the summer of 2018, I was able to capture some incredible images of the night sky with this lens. At 14mm, the Rokinon is a much better choice than the Canon 50mm if you plan to capture large areas of the night sky, including the Milky Way. With a full frame camera, the ultra-wide 14mm FOV can be fully appreciated. As the season changes, I’ll spend much more time with this astrophotography lens. I am curious to see how much sky I can collect in some stacked long exposures. I used the SkyTracker Pro mount and the Rokinon 14mm F/2.8 Lens to photograph the Milky Way under the dark skies of Cherry Springs State Park in June 2018. 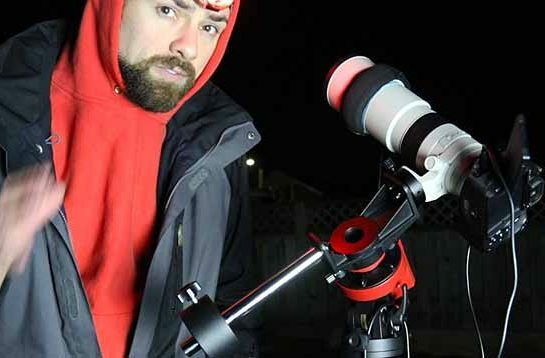 This portable astrophotography setup is absolutely perfect for wide-angle shots of the Milky Way. If you’re want to go a step further and use a small telescope – I’ve had success using the beefier SkyGuider Pro. 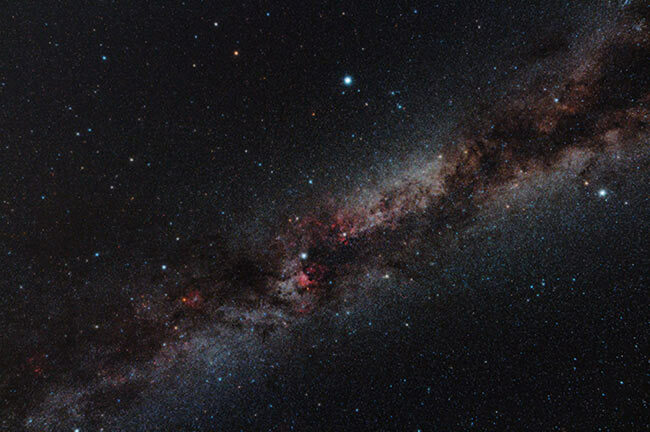 Wide-field nightscapes are a lot of fun – and can be just as rewarding as a deep sky image. 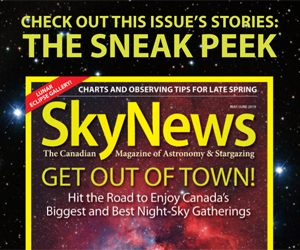 The SkyTracker taps out after the weight of a DSLR camera and modest size lens. This lens is about $150 brand new, is virtually weightless, and is useful focal length for wide field imaging on certain targets. I purchased the Canon EF 50mm F/1.8 lens years ago, as it added a much need portrait lens to my DSLR kit at the time. With the aperture wide open at F/1.8, you can pull in a lot of light in a short period of time, but the stars are a little rough at the edges of the frame. If you stop down to F/2.8 or F/3.2 things improve dramatically. The images above were taken by Kurt Zeppetello and Victor Toth using the Canon 50mm F/1.8 lens on a tracking mount. To make life easier, I opted to use an h-alpha filter in the T3i to completely ignore the light pollution from home. 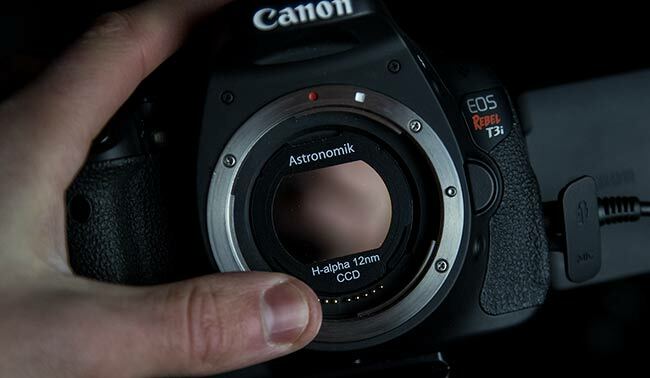 The Astronomik 12nm Ha filter clips into my camera – and isolates the hydrogen gases found within the hunter. I don’t recommend using a thread filter that screws on to the objective of your camera lens. 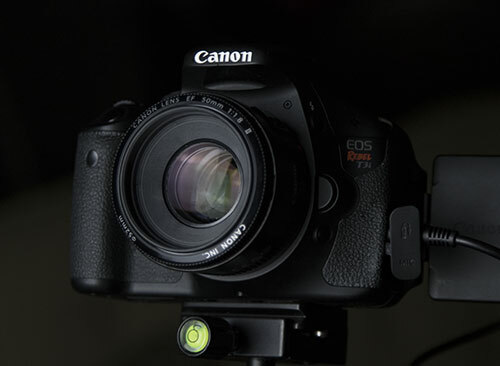 It’s best to use a clip filter that clicks into the body of the DSLR underneath the lens, like the one shown below. 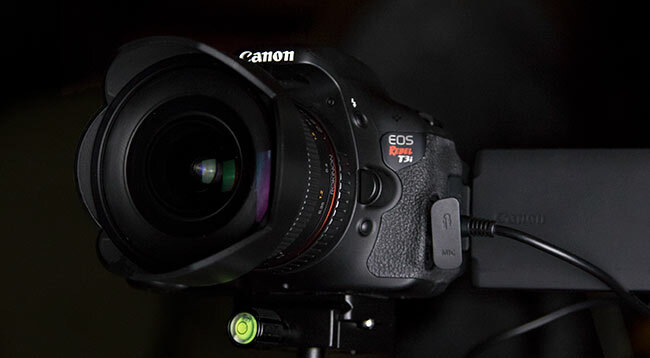 The clip-in style filters allow you to attach any EF mount-style lenses to your Canon camera. I recommend double checking to see if your lens is compatible with a particular clip filter before purchasing. 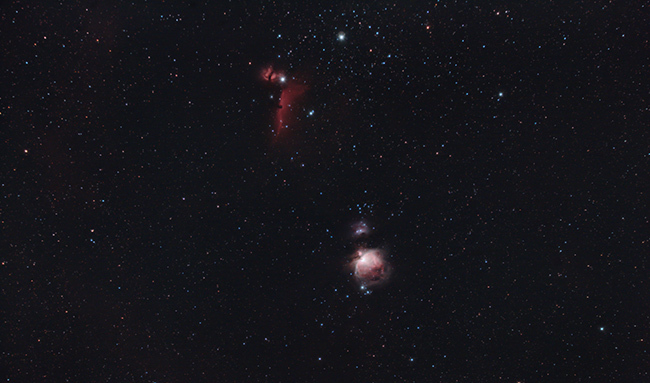 The following image is of a large portion of the night sky including the stars and nebulae surrounding Orion. I use the hydrogen-alpha clip filter in my camera on nights when the Moon is out, or I simply want to capture some dramatic details in a particular nebula. The resulting narrowband image is, of course, black and white – with the red channel isolated in photoshop for processing. For more details on processing images in ha from a DSLR, have a look at my narrowband Photoshop tutorial. Overall, I am quite pleased with the way this turned out. The total exposure time was short, and the sky conditions were lousy. 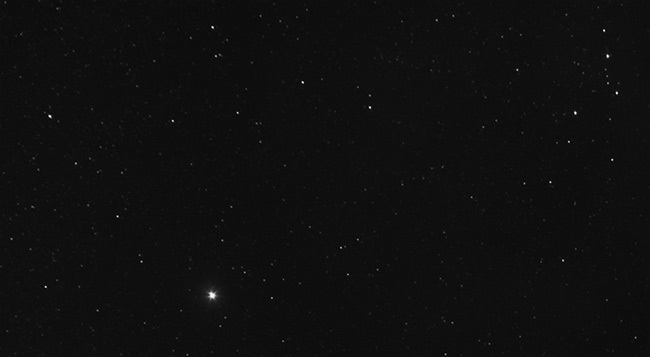 The focal length of the Canon EF 50mm lens was spot on for a constellation of this size. The shots were 3 minutes each, at ISO 800. I stopped the aperture down to F/3.2 to sharpen things up, not to mention not blow out my 3-minute subs. As you can see, the stars are still rather sharp at the very edge of the field. A sound polar alignment on the little iOptron SkyTracker was all I needed for sharp, pinpoint stars for each 180-second sub. Can your telescope mount go 3 minutes unguided with sharp stars? To polar align, I simply refer to my Polar Finder phone app and make the necessary adjustments to the mount. At this focal length, autoguiding is not necessary and the field of view is quite wide and forgiving. With that being said, I am so impressed with the smooth and accurate tracking on the SkyTracker. 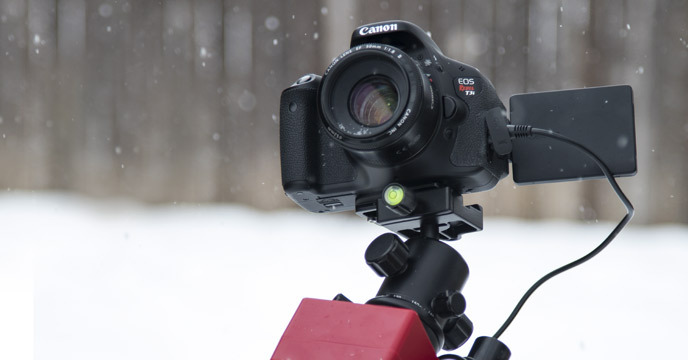 A camera mount like this opens up new opportunities for night photography when using a camera lens for astrophotography. 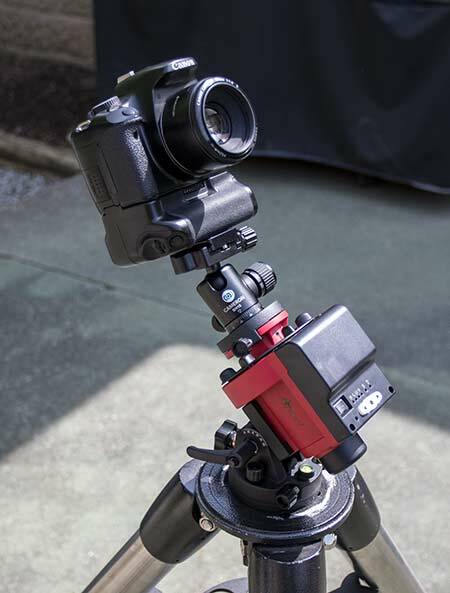 I automate my imaging sessions on the SkyTracker mount using a remote shutter release cable that connects directly to the DSLR. With this device, I can set everything from the number of exposures to the individual exposure length. 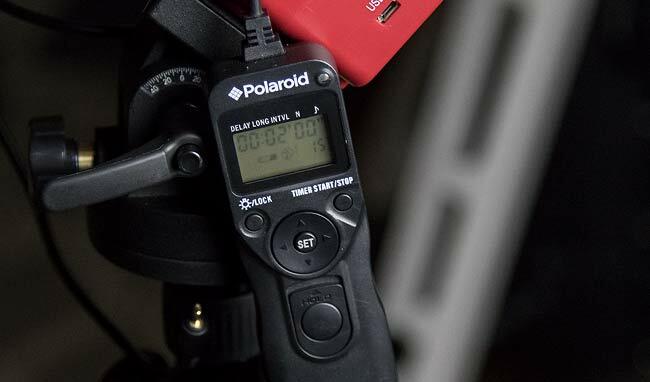 A typical astrophotography imaging session will include 30 images of 90-seconds or more, with a 5-second delay between shots. It’s often said that using a delay can help let your camera sensor cool down a bit between shots. This will help reduce noise. The cheap Polaroid version I bought on Amazon has been surprisingly reliable. Using the remote, I let the camera do it’s thing until it’s time to tear down and go to bed. The photo below showcases the constellation Cygnus and the Milky Way using my Canon T3i DSLR with the Rokinon 14mm F/2.8 Ultra wide angle lens. It’s a stacked shot of 23 x 2-minute exposures. I would like to recommend the Canon EF 50mm F/1.8 STM and the Rokinon 14mm F/2.8 Ultra Wide Angle lenses for Canon cameras. These 2 lenses are tremendous choices for astrophotography because they are capable of letting in a lot of starlight in a single exposure. The 50mm is a useful focal length for framing up a particular constellation like Orion, above. While the Rokinon 14mm lens is perfect for shooting the Milky Way. Both lenses can produce sharp results and impressive images when the correct settings and techniques are used. The Canon EF 24-105mm F/4 lens has also been useful for certain projects. It’s a zoom lens, but the star quality is commendable at both 24mm and 105mm. 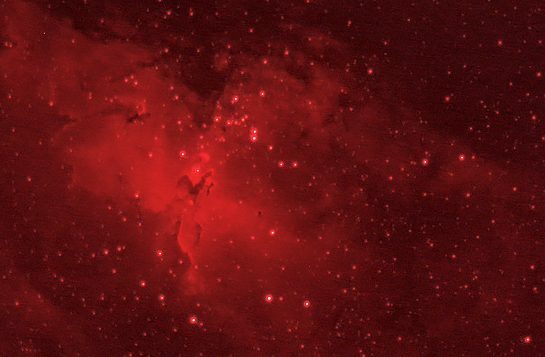 When coupled with a crop-sensor DSLR, the full magnification of 105mm brings a new perspective to popular targets such as the Horsehead and Flame nebula in Orion. For me – finding ways to sustain this hobby long term is important. 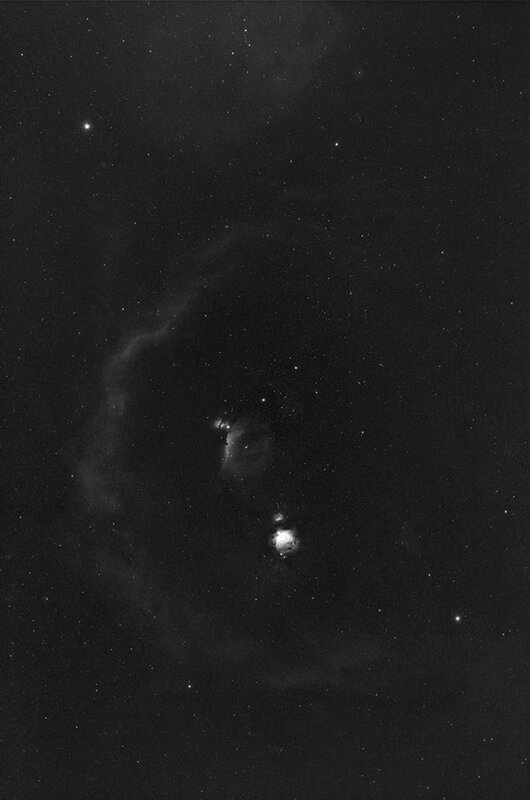 This rather brief astrophotography session provided me with enough data to produce an impressive portrait of Barnard’s Loop, and the Orion constellation in hydrogen alpha. The simplicity of mounting the camera on a small tracking mount and walking away really appeals to me. On frigid February night, it’s a refreshing experience that doesn’t involve a lengthy star alignment routine or lugging 40 pounds of gear around. Shooting deep sky through a telescope will always be my bread and butter, but shooting with a cheap astrophotography lens on a small star tracker sure is a lot of fun too. Very nice…….I purchased the Sky Tracker Pro to use as a decision factor to decide to if I wanted to try and go larger. I said if I could be successful with the Sky Tracker and make good gains in my PS processing, then I would pursue this with a larger mount and a dedicated scope. I am now the proud owner of the Orion Sirius EQ-G! And I have you to thank for it as I am fascinated by astrophotography now………..now, I just need another DSLR so that I can photograph from the Sky Tracker Pro for skyscapes while photographing a DSO. I am using a Canon 60D + 300mm f4 L and sometimes the 1.4x extender…..saving for the ES ED80 CF. Thanks for all that you do with your web site and You Tube channel. Thank you, Chuck! Congrats on the Orion Sirius EQ-G! Such a great mount. I’ve also done some ap with the 300mm F/4L – and it’s a lot of fun! – The Lagoon and Trifid in Sagittarius fit the FOV nicely. The ES ED80 is an excellent choice. Thanks very much for the kind words man!